Don’t get caught unprepared; a disaster can strike at any time. When it does strike, it may not be very easy to access food. You can get pre-packaged and pre-proportioned survival food for survival situations like these. Keep reading this article to find out about some of the best emergency food options on the market today. 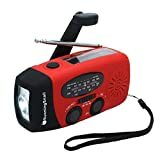 Trying to find emergency food that can last you for a long time or that is enough to feed your family as well? 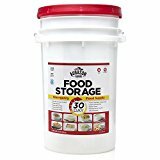 The Augason Farms 30-Day Emergency Food Storage Supply Pail package has 307 food servings and is reasonably priced. With a wide variety of foods, this is our top pick. These inexpensive food bars are easy to carry around because they are light and each pack has 9 bars that last 3 days. These bars have a great taste and they're packed with a lot of calories. You don't have to prepare these meals. They're the same thing used by the military and they come in many flavors. Although they are a bit costly, many users say that they are worth the price because they're tasty and perfect for emergency situations. You can get 9 of these emergency bars for an affordable price. These bars are especially good because they won’t be affected by extreme conditions. They can last for a maximum of 5 years and they have a great taste. 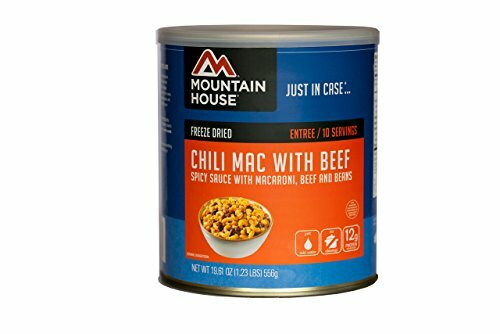 If you like Chili Mac, you'll surely like this emergency food. One purchase includes 10 cans which contains 20 servings in total. It's very easy to prepare and it has a very long shelf life. 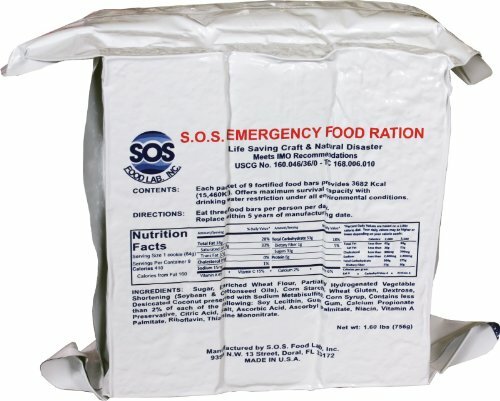 This emergency food option has a wide variety of foods that make a total of 307 servings that can serve one person for 30 days. It is reasonably priced and it will not expire for at least the next 20 years. After being placed in pouches, the food is placed in a pail which is how you will receive it if you decide to purchase it. Because it has so many servings, if you're trying to find emergency food for a family, this is something you should consider. Foods are easy to prepare. Foods are nutritious and high in calories. 20 Years life shelf when sealed. Meals are not portioned based on serving sizes. The price of this item varies because it's sold as 1 or 2 packs. Each packet contains emergency food bars that are rich in calories to ensure that you have enough energy during an emergency. The bars have a coconut flavor and they're not sweet or salty, to ensure that they don't make you thirsty. Two things that are great about these bars: they don't require any preparation and they're easy to carry around because they don’t weigh much. 9 Ready-to-eat fortified food bars. Each bar contains 410 calories. The package has a 5 year shelf life. The bars don't cause thirst. Each person should eat 3 bars per day. The bars are very high in energy. The bars could be more nutrient-dense. These read-to-eat meals are very affordable. They were designed especially for military personnel so you know that the quality is good. This tasty meal has 1,250 calories so it has enough energy to keep you going for a long time. It also has a very long shelf life once you follow the manufacturer’s instruction regarding how it should be stored. 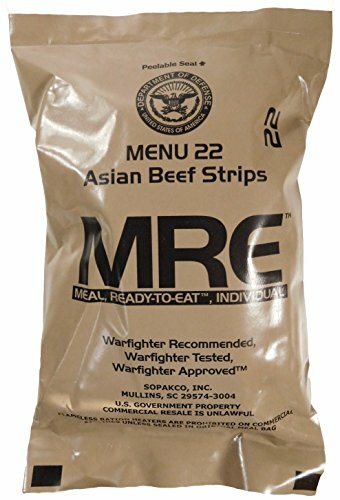 If you're interested in this MRE, you should note that the meals are sold individually, and there are different flavors that you can choose from. It requires no preparation - it's ready to eat. Each meal has enough calories to last for the day. There are different flavors that you can choose from. It has a good nutritional content. Quick and easy to consume. Not very cheap for just one meal. 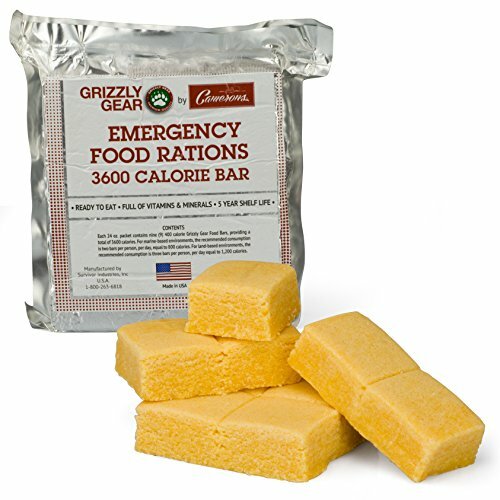 This 3-day emergency food package contains several food bars with 400 calories each. These meals should not make you feel thirsty so you don't have to worry about packing excess water to go along with them. They have a lemon flavor and a very long shelf life, even under extreme conditions. You should receive all food bars in a sealed bag and the individual bars are packaged in a water-resistant, air-sealed bag. It has 9 rations that are pre-measured. Each ration is enriched with vitamins and minerals. There are no cholesterol or tropical oils in the rations. The packages can withstand extreme conditions, including extreme temperatures. The bars are very nutritious. Extreme temperatures won't affect the shelf life of the food bars. The shelf life is only 5 years. 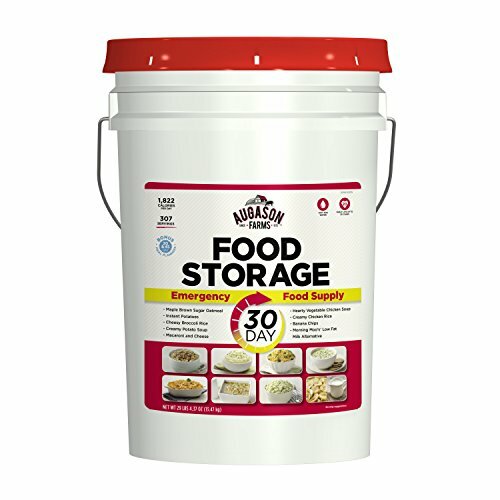 Are you trying to find emergency food that requires very little preparation? This product is just that. 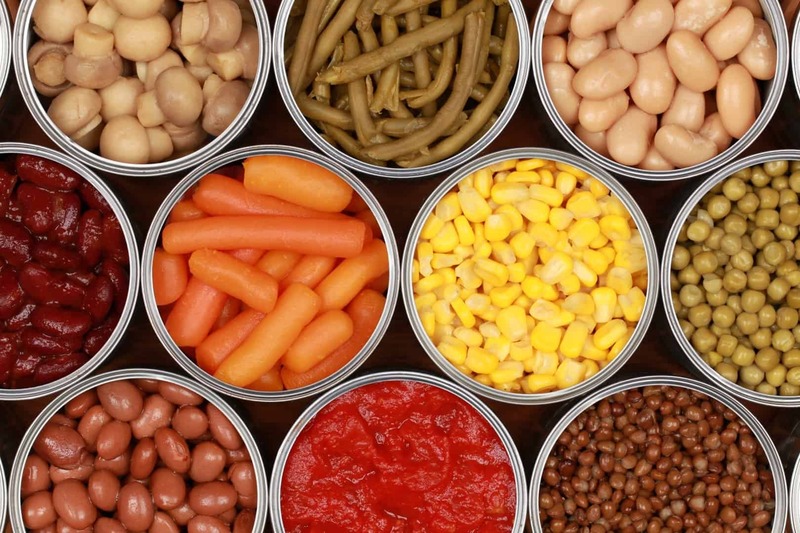 Ten cans contain 20 servings and the food can be prepared in less than 10 minutes. 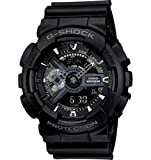 There are other quantities for purchase so the price can vary based on what you select. To make this product even better, you won’t even have to clean up when you’re done. It’s that easy. The shelf life is extremely long so you can keep it on hand for many years to come. You only have to add water to prepare this food. Each serving is one cup. Shelf life of 30 years. The food can be ready in less than 10 minutes. 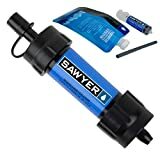 You must add water to this food, and clear water may be scarce, depending on the emergency. Do you know what to look for when purchasing emergency food? We all know that if you're going to store food for long periods it should be non-perishable or have expiry dates that are very distant. But what else should you look for? Continue reading so you can find out. Try not to purchase foods that require too much preparation. If you can get foods that can be eaten straight from the wrapper or its container, that is great. Just ensure that you check the nutritional content. You never know how long an emergency will last before it occurs. If damages are severe, you may be without water and electricity for days. There is no way to be sure of how long it will take for things to go back to normal. Having a 3-day supply should be sufficient but, if you can store food to last for longer periods, that's even better. When you are purchasing emergency food, don't forget about food allergies that you or your family members have. Ensure that you cater to all special dietary needs. If there are infants, get food for them as well. Don't forget about pets either. It would be quite sad if only some of your loved ones are able to eat because you forgot about special foods that you should have included. Some people will buy emergency food because that is what is marked on the packaging. But in an emergency, will you really eat that food? Have you checked the labels to see what is inside? Don't buy random emergency foods just because the packaging says it is good for an emergency. Get foods that you and your family will eat. If you can, try to get foods that have a high water content. The last thing you want in an emergency is to be dehydrated. The most important thing is to find one with a long shelf life. There is no point in buying emergency food that is going to go rotten. You want to be able to store these in your house and not use them until necessary. This is why all the five listed have a long shelf life. Next, after solving that issue, you need to find one with enough calories to give you the nutrition you need. If the emergency food you purchase does not have any nutrients, and is not filling, you are going to have a starving sensation. Find emergency food that has at least 400 calories per serving, and is filled with some sort of protein and nutrients to keep you going. Lastly, you need to consider how much comes with the product. All five of these products range in how many servings it comes with. You need to plan if you're just planning on feeding yourself in an emergency, or do you have a family as well? How many mouths need feeding? This is integral to answer, and not one to be taken lightly. This will help you choose how many of each product you need so you can start planning. Also, before purchasing emergency food, you should set aside a budget. 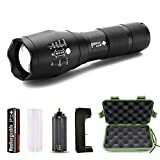 This will allow you to see what products on our list will fit within that budget, so you won’t get overwhelmed with all the food you could buy. Trying to find survival food that is nutritious, has a good taste, does not cost a fortune and has a good shelf life is not the easiest of tasks. 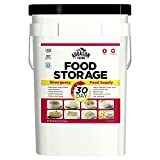 Of the 5 products that have been reviewed, our pick for the best survival food is the Augason Farms 30-Day Emergency Food Storage Supply Pail. It meets many criteria that you should pay attention to when selecting emergency food and to top it off, it offers great value for your money. On a special note, this food would be the best choice for your bugging in plans, or if you’re planning to bug out with a vehicle. If you're looking for food to include in your bug out bag, you're better off with the MREs (Meals Ready-to-Eat) Genuine U.S. Military Surplus (1 Pack) Assorted Flavor, because they are easier to pack and carry, and don't require you to add water to prepare it.